We are dedicated to providing our customers with fast, convenient and straightforward loan services. As a licensed moneylender in Singapore, we are dedicated to responsible lending practices and strive to meet the unique needs of all of our customers. We provide flexible loan terms and set realistic repayments that suit your budget. We don't surprise our customers with hidden fees and charges and, most importantly, we always treat our customers with the respect they deserve. Oasis Credit Services Pte Ltd is your solution. We don't make it a big deal. Sometimes you just need a little extra cash to get you through to your hard time. We know speed, transparency and efficiency are critical - but sincerity, trust and compassion are how we take service to new levels. For those who have evaluated all of their options and have decided that they must use an emergency personal loan, be a wise consumer. Do some research and choose a licensed moneylender which offers the best interest rates and fees. If at all possible, only borrow what you can afford. "I love this company, they're very quick with your funds. Thank you so much!" Personal loan Singapore at Oasis Credit Services Pte Ltd will provide the opportunity for you to take control of you finances. 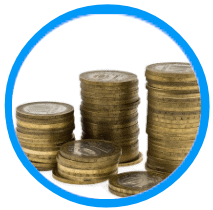 We provide freedom of having extra cash for whatever you need, whenever you need it. For easy application, fill up the simple form and we’ll call you back in the shortest time or simply call 6777 1121 now. Oasis Credit Services Pte Ltd is open to all expatriates and foreigners who wish to acquire personal loans in Singapore. Our clients came from all fields of industries ranging from low-income earners to professionals. it is easy to apply and easy to obtain too, and you can get speedy loan clearance and receive your cash in an instant as long as you have a valid E-Pass or S-Pass Work Permit . With our flexible, instant approval and creative repayment scheme, no wonder Oasis Credit Services Pte Ltd foreigner loan scheme is one of the favorable personal loan Singapore scheme preferred by many foreigners in Singapore. With Oasis Credit Services Pte Ltd foreigners loans, you’ll enjoy wide range of loan packages with flexible financing and installment to help you to better manage your finances. Location: Just a few minutes walk from the nearest MRT Station. We are just infront of of the a brand new shopping Mall. Get What You Want Now With Oasis Credit Services Pte Ltd in town !!! You never know when is your car going to break down, whenever an immediate or urgent need arises or when you just have to take that holiday. 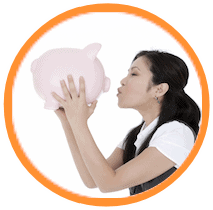 Personal loan Singapore at Oasis Credit Services Pte Ltd made it exceptionally fast for you. Need faster cash? It’s easy and quick to apply for Oasis Credit Services Pte Ltd flexible loan and repayment. To borrow cash, simple click on Apply Now. Our customer service officer will call you in no time. Our fast approval loan process will ensure your cash loan amount is deposited into your nominated bank account within 24 hours of receipt of approved loan documents. Get personal loan Singapore from Oasis Credit Services Pte Ltd now.